Bacteria gets a bad name because of the serious illnesses some of them can cause. But not all bacteria are bad, in fact most are not just good, but critically important for life on Earth. 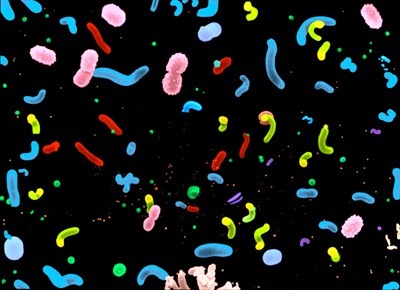 To help understand what role bacteria play in our reef tanks, we are introducing a multi-part series on bacteria written by Adam Spaulding, a PhD in Microbiology and a reef tank enthusiast who frequents a number of forums under the moniker Tibbsy. Grab a drink, find a bacteria or trillion to cozy up with, find your favorite Snuggie, and let’s talk about why you really should be welcoming your microbial overlords. 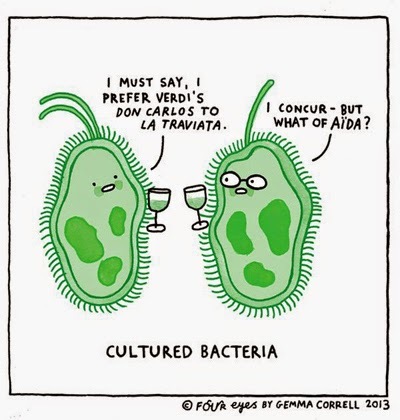 Bacteria are your friends. Really. But just like friends, sometimes one starts to dominate your discussions and lives, and you need to take a break. Sometimes one kind of bacteria overtakes your little slice of the ocean and that leads to various problems like cyano or cloudy water. This series of articles will try to explain why some problems occur and possible solutions. The information within will be simplified for the sake of reaching a wider audience, but more information can be found in many texts. Readers who want to learn more are encouraged to find textbooks and research articles to expand their knowledge. 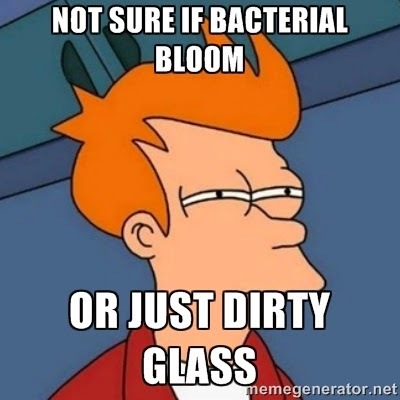 Bacteria are microscopic, single-celled organisms that are found pretty much everywhere on Earth. Bacteria all have the same general shapes: spheres, rods, and filaments. They are also generally all around 1-2µm in size (500-1000 bacteria would be a millimeter; 25,400 of them would equal an inch). They may be similar in shape and size, but they are extremely diverse in their lifestyles, metabolism, and their roles in the ocean. To begin, let’s clear up some nomenclature in order to understand some of the discussion below. Bacteria can be broken up into 2 major metabolic divisions: the autotrophs, which produce their own food through inorganic compounds (those not containing carbon) and chemical or light energy; and heterotrophs, organisms which cannot make their own food and must obtain their requirements for life from organic compounds (those containing carbon). Within those two major divisions come another set: phototrophs, which obtain their energy from light; and chemotrophs, which obtain their energy through chemicals, either organic or inorganic. Another distinction can be made between bacterium that uses inorganic compounds (lithotroph) or organic compounds (organotroph). All of these pieces can be put together to explain how a bacterium obtains its requirements for life. For example, nitrifying bacteria (discussed later) are chemoautotrophs, meaning they do not require light or organic compounds for growth. What do bacteria do in the ocean? There are many roles that bacteria play in the ocean. Bacterial metabolism in the ocean includes photosynthesis, carbon degradation, the reduction and oxidation of sulfur, nitrogen fixation, denitrification, and nitrification. Bacteria can also cause disease and infection in ocean organisms. Truly, microbes rule the oceans. The autotrophic microbes, both photoautotrophs and chemoautotrophs, lay the major foundations of the ocean’s ecosystems. These organisms are the primary producers. They utilize light and other molecules to generate organic material for the heterotrophs and the rest of the food chain. (Note: Photoautotrophs use light and CO2, whereas chemoautotrophs use inorganic compounds to synthesize their needs). The autotrophs of the ocean include the Methanogens, Sulfur-oxidizers, and Nitrifying bacteria. Methanogens and sulfur-oxidizing bacteria are important for the oceans; however, they have almost nothing to do with our aquariums so they will not be discussed further in this article. Readers are encouraged to find other sources to read up on these fascinating microbes and their roles in thermal vents and the ocean. Our major focus on autotrophs in our tanks will be on the Nitrifying bacteria, important for their role in the nitrogen cycle. These bacteria and the nitrogen cycle as a whole is discussed in much greater detail in our next article. Nitrifying bacteria are obligate chemolitotrophs that are critical for the conversion of ammonia into nitrate. These are the bacteria involved in cycling a tank and they are the absolute foundation our tanks are built upon. An imbalance in these can yield catastrophic results for our systems. These bacteria are the bread and butter of the ocean, playing many important roles but largely taking part in the food chain. These microbes utilize organic compounds in the presence of oxygenated water. These microbes grow much faster, with their metabolism generating 10-40 times as much energy as autotrophs. 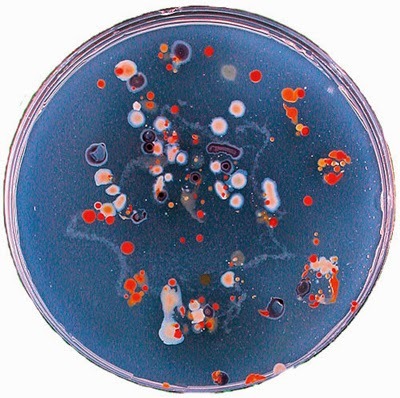 They are not dependent on light or inorganic molecules, which can be in limited supply and as such, heterotrophs can grow like crazy—when you get a bacterial bloom in your tank it is because of these kinds of microbes. They are critical for our tanks, just as they are important for the ocean, however. In our tanks, we care about them because a subset of heterotrophs are responsible for the conversion of nitrate to nitrogen in our tanks, the process called denitrification. This will also be discussed later. Before we continue, it is very important to emphasize just how incredibly limited our tanks are in terms of microbiology. It’s estimated that ~99% of the bacteria in the ocean cannot be grown in a lab or in our tanks. We know, through various techniques, that they exist but we can’t grow them or work with them in the lab. We mention this because while bacteria are the foundations of our reef tanks, our reef tanks are artificial. We simply cannot replicate the vast diversity of microbial life (and therefore the full natural ecosystem) of the ocean in our tanks. It’s not possible to do so currently. We must all understand that our tanks are not literal snapshots of the ocean or reefs—they are artificial ecosystems in which we do our best to control as much as we can to make corals colorful and fish happy. Metabolic roles include photosynthesis, organic carbon degradation, sulfur reduction and oxidation, nitrogen fixation, nitrification, and denitrification. Autotrophs are primary producers, generating organic material, which is then utilized by heterotrophs. Our goal is to keep our microbial tank inhabitants in balance. As we mentioned, our tanks are limited in terms of the microbes important for them, so it’s important to know just which ones are in our tanks and how to make them happy. Stay tuned for the next article in this series where we discuss what really happens in the nitrogen cycle, why some people never have a cycle while other have a never ending cycle and more. Tibbsy: Adam is a PhD in Microbiology and Immunology, primarily studying bacterial pathogens and vaccine development against them. Recently he has switched fields to marine microbiology. He is a pico and nano tank enthusiast, having kept tanks from 5 to 12 gallons. He currently has a 10 gallon Innovative Marine Nuvo mixed reef and is setting up a 3g pico at work. MetroKat: Kat has been blogging and testing products for Marine Depot since 2014. Her current system is a 50G CADlights Artisan mixed reef with a custom hybrid light and the new Gyre . She was Tank of The Month on Nano-Reef in 2012, featured on Reef Builders, Marine Depot and recently won Most Creative Nano on Reef2Reef.